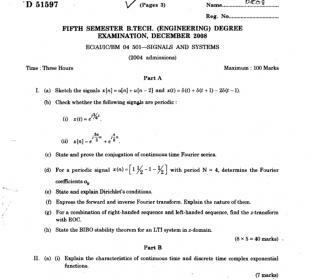 Signals and Systems Papers of Electronics and Communications Engineering (ECE) is taught as a part of the course curriculum of B. Tech in ECE under the Calicut University. The paper requires 3 hours of lecture and 1 hour of tutorial per week. 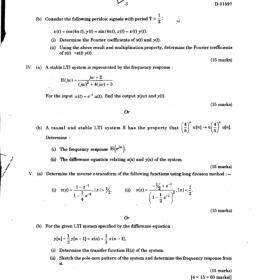 Signals and Systems Paper is taught in 5th Semester. 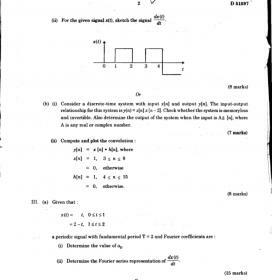 In this subject students are taught how to convert continuous signals into discrete signals and how to work with them. 2. ‘Signals and Systems’, 2nd edition by A.V. Oppenheim, A.S. Willsky and S.H. Nawab, published by Prentice Hall. The examination has two parts: Internal work assessment (50 marks) and External University Examination (100 marks). The University Examination consists of 5 questions: QI-QV. QI has 8 short type questions of 5 marks, 2 from each module. 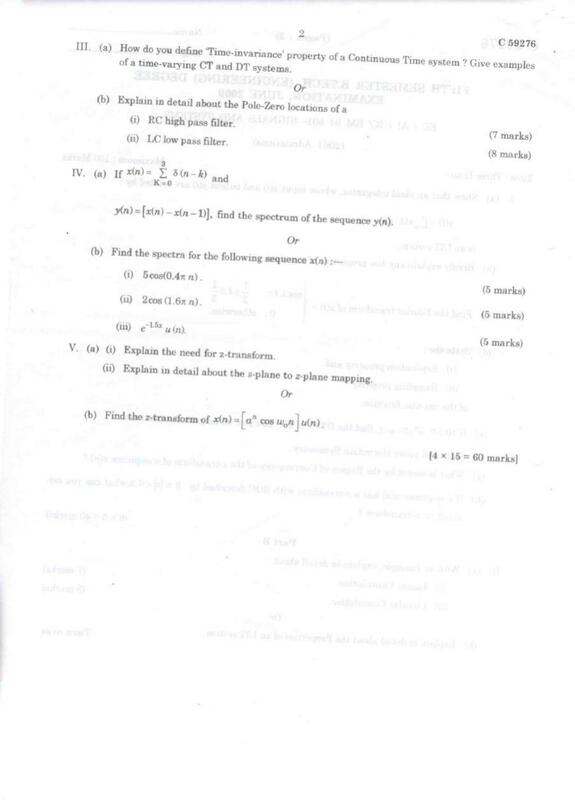 QII, QIII, QIV and QV consist of two questions each from Module I, II, III and IV respectively. 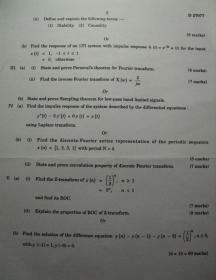 These 2 questions A and B are of 15 marks each and only 1 should be attempted. 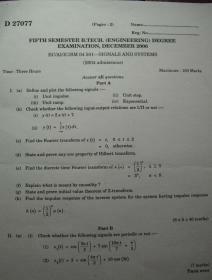 Previous years papers of Calicut University 5th Semester B.Tech Civil Engineering? List of specializations for ECE students in MS?